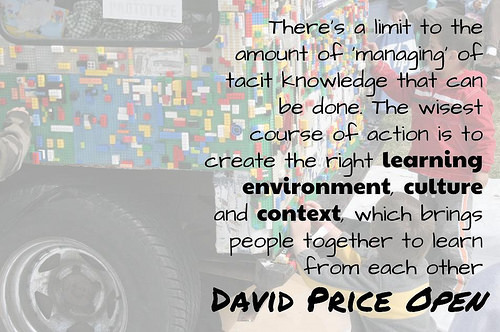 I recently started reading David Price’s book OPEN: How we’ll work, live and learn in the future. After extracts, reviews and recommendations I entered wondering what he would have to add to the debate about education. What interested me about Price was that, along with others like Graham Brown-Martin, his take on the future of education did not come via the usual teacher, turned academic, come consultant. Instead it was a bit more indirect. Such a point of view helps by bringing an outsiders perspective, rather than being caught up within schools and politics. It is a focus on learning, something not constrained to the classroom. Questioning what it is and what it maybe in the future. Many of Price’s thoughts and observations touch upon various facets of society, pointing out that things are not always as the seem. One of the ideas though that really stood out was the notion of SOFT. When I first saw it mentioned I thought that Price was going to touch upon Thomas Friedman’s analysis of what matters in the 21st century are soft skills, such as leadership, humility, collaboration, adaptability and loving to learn and re-learn. However, this is not what Price means by SOFT. For Price, SOFT is an acronym standing for four inter-connected, consequental values which he sees as integral for being open in the the 21st century. SHARE: Whether it be adding ideas to a wiki or posting an update on Facebook, sharing involves connecting and collaborating with others. There are two key characteristics to sharing, the speed at which knowledge is able to spread and the ability to work together to take action. OPEN: Whether it be providing corporate data online or living life through social media, open is about being transparent. What is interesting is that for many it is something we have taken to whether we were aware or not, some are just more radical than others. FREE: The notion of free includes such things as the value of knowledge, the consumption (and production) of digital goods, as a business model, the ability to fail and an entitlement. Many of these examples are about mindsets and adjusting existing models to add free into them. TRUST: For each of the other elements of SOFT to work, they depend upon trust. When we read an update on social media, we trust that our friends are being honest. When data is provided openly online, we trust that it would not be used to undermine us. When we foster a culture of prosumers (producers and consumers), we trust that people we at least provide attribute when content is made available through Creative Commons licences. When trust is stripped away, we are usually simply left with accountability, this is particularly true of schools. So how are you adapting and learning in the 21st century? More importantly though, how SOFT are you? How SOFT Are You? by Aaron Davis is licensed under a Creative Commons Attribution-ShareAlike 4.0 International License.